“On behalf of the President and the people of the United States, I send best wishes and congratulations to Montenegro on your Statehood Day. Montenegro is a valued friend and new NATO partner that is providing significant support to international peacekeeping efforts. Your steady contributions to NATO’s operations in Afghanistan and in the fight against ISIS demonstrate our shared commitment to the fundamental values in the Washington Treaty: the rule of law, democracy, and individual liberty. At the same time, the United States appreciates the stabilizing role Montenegro plays in the Balkans. Our work together in the fight against corruption, organized crime, and violent extremism further strengthens our friendship. “The path and form of Montenegro have always depended on the vision of its leaders, both from the political and social areas, said the president of the Montenegrin Assembly, Ivan Brajovic. 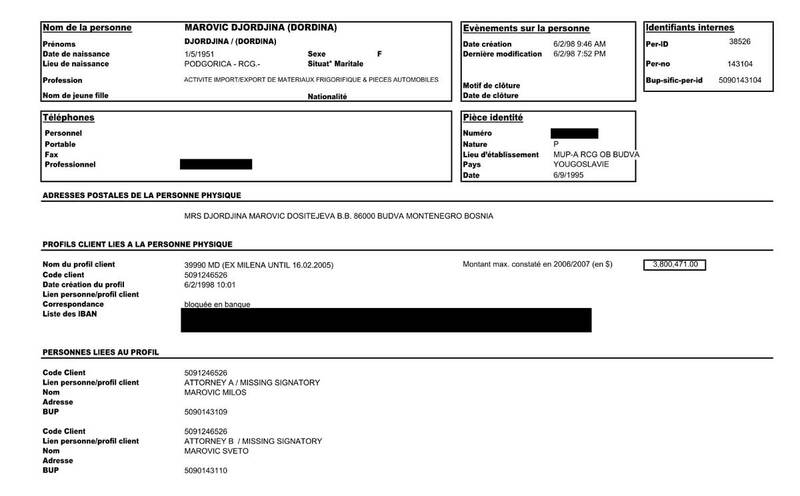 “Swiss authorities confirmed to Montenegro’s Prosecution Office that the wife of former President Svetozar Marovic had millions in an HSBC account in Switzerland at the time when he denied the family even had an account and offered the money alleged to be on it to anyone who proves it exists.